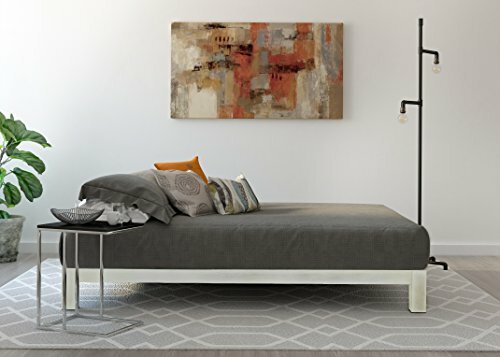 This stunning king size Stella metal platform bed frame makes a brilliant addition to any bedroom. It radiates modern style, bringing a touch of the dramatic to any bedroom. Enjoy lifelong performance with its white coated finish that resists rust, chips, scratches and wear. 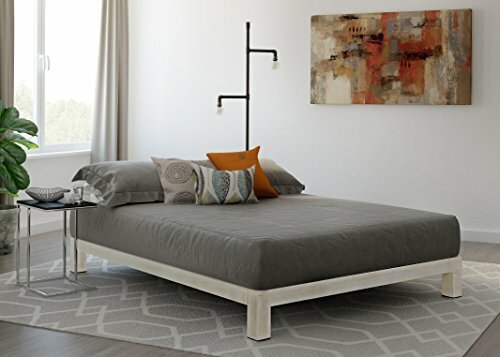 This platform bed frame is built with durability in mind, and benefits from the strong steel frame and legs. 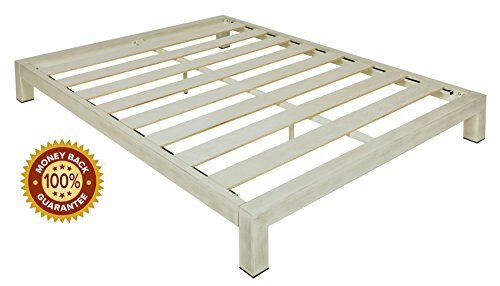 The solid wooden thick slats are constructed with excellent strength to provide sturdy support to any mattress. Its frame construction perfectly embeds your mattress to avoid sliding or wobbling, protecting it from warping or sagging and ensuring longer mattress life and comfort. It is designed to provide reliable support for your memory foam, latex, or spring mattress; and is sturdy enough to support heavier deluxe mattresses (mattresses NOT included). With this bed frame, you'll eliminate the need for a base or box spring. It features a height that is just perfect for getting in and out effortlessly - and if you have a small dog or aging pet allowed to sleep on your bed, this frame is ideal. This piece will surely complement all your furnishings and bedroom decor, whether in a guest room, a master suite or even a studio college apartment. Simple and stunning, definitely the bedroom solution that you've always wanted. Easy to set-up with no additional tools needed and easy to disassemble as well. It features a height that is just perfect for getting in and out effortlessly.